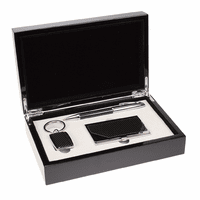 A fun, functional gift for any golfing fanatic, this pen and divot tool gift set is perfect for any occasion. 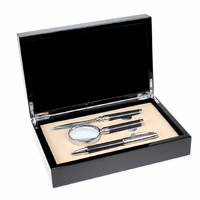 It features a smooth writing ball point pen with a detailed golf ball on the end of the cap. 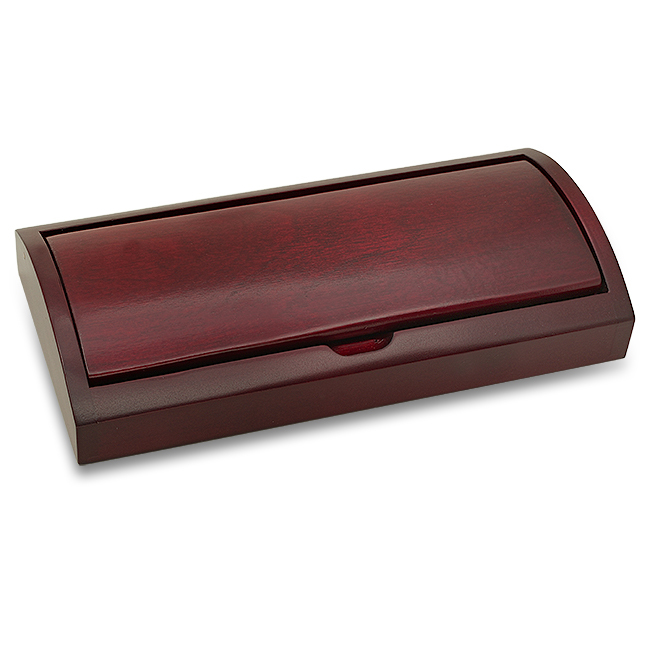 It includes a pocket clip shaped like a golf club. 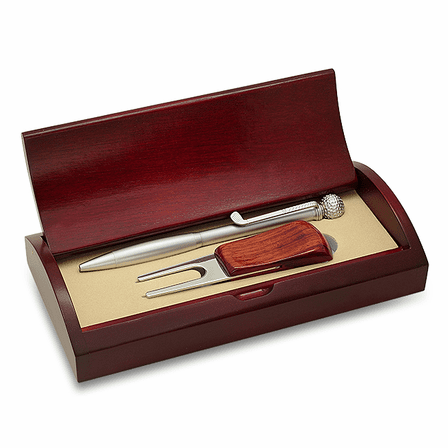 The rosewood and steel divot tool will have the lucky gift recipient ready to repair even the harshest of divots out on the links. 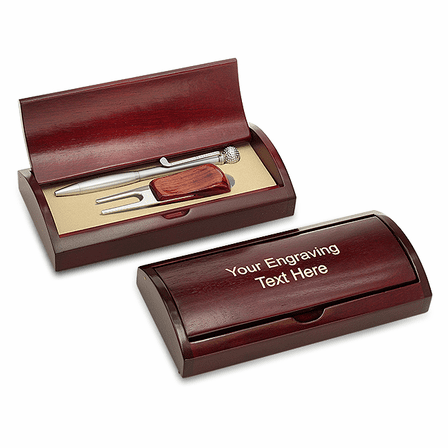 The pen and tool come nestled in a foam inlay inside a hinge opening rosewood box. The lid of the box can be customized free of charge, creating a personalized gift any golfer will love.